When I think about Star Wars I’m drawn to three things; the pilots/starfighters, the crime, and astromech droids. I might enjoy some of the other elements but the ones listed above are my favorite. Pilots/starfighters and astromechs are easy to explain. I like watching X-Wings flying through swarms of TIE fighters. The astromechs tie into my love for the X-Wing. The crime bit is a bit larger though. I love that Star Wars is dirty. Bounty Hunters, assassins, crime lords, and the Smuggler’s Moon are exciting. 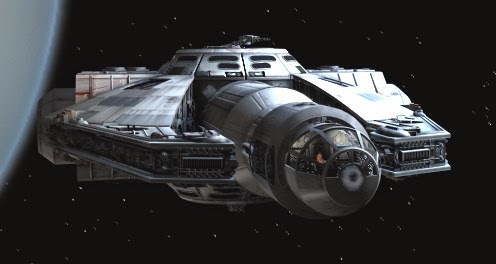 Because of that I not only have a favorite starfighter but I also have a favorite light freighter, the YT-2000. The YT-2000 was introduced in the 1999 computer game X-Wing Alliance and is used as the main character’s personal transport. It shares a lot of its look with the Millennium Falcon (a YT-1300) but most YT freighters in Star Wars have pretty similar looking parts. The 2000 is supposed to be a later model than the Falcon and the main feature difference is the cockpit is now centered on the ship instead of being off to one side. I always wanted some kind of model or toy of the 2000 but it never happened. I would have even been happy with a Micromachine. 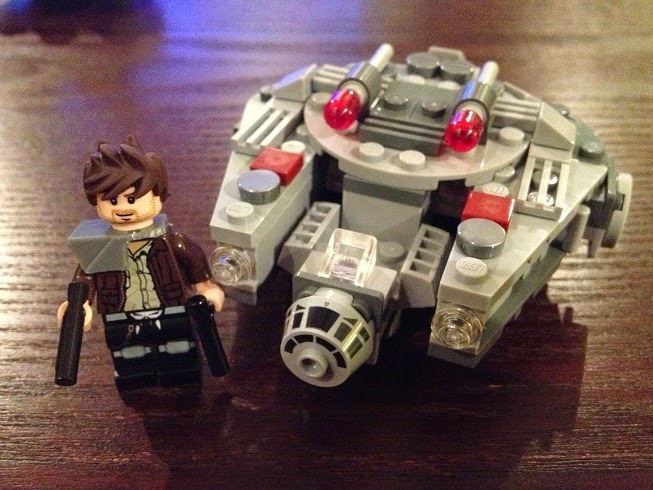 In 2014 Lego launched a new line of Star Wars Microfighters; squat little ships that fit one figure and generally trade realism for cuteness. I ended up picking up a couple of the first wave, including the Millennium Falcon. 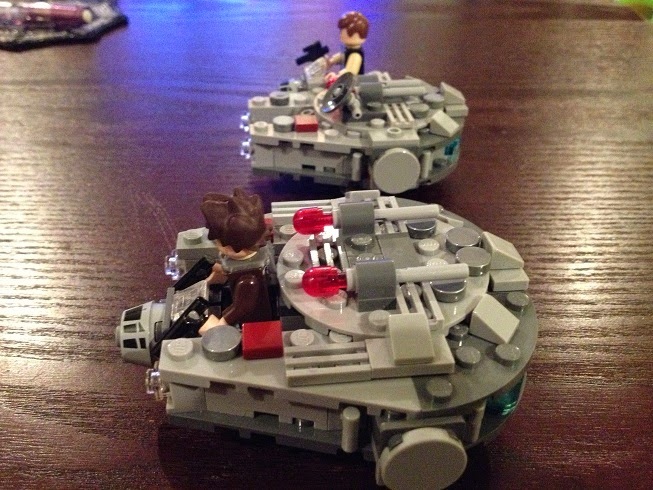 It was a great little set, but every time I looked at it I couldn’t help wishing I had a YT-2000 instead. Thankfully with Lego you can build anything you want as long as you have the bricks. Instead of modifying my first Falcon set I actually bought a second one. Once I had all the pieces in front of me I realized that the modifications I wanted to do would require parts that didn’t come in the box. Not a problem I thought, I had more than enough Lego in my house. That turned out not to be true; I had lots of Lego bricks, just not the specific ones I needed. I ended up going onto Bricklink and ordering the ones I needed. Once I had the parts it quickly fell into place. I also had to adjust the turret so I wouldn't shoot the pilot in the back in the head. I should have squared off the back engines a little. I was worried that if I did so the ship would end up being even longer. 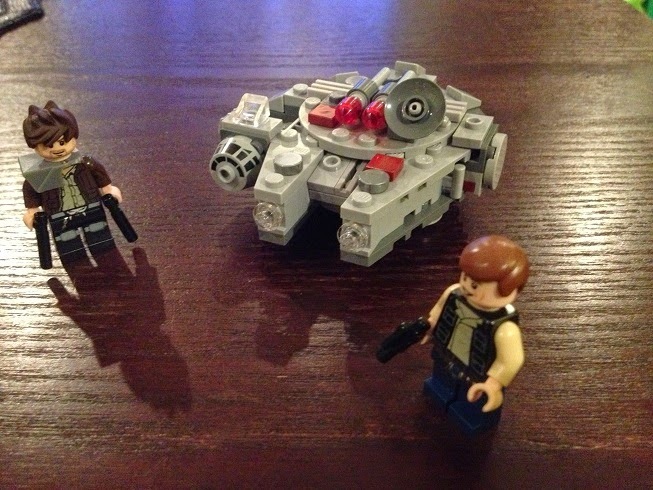 The end result already ended up a little longer and bulkier than the Falcon, but I figured that was okay. The 2000 is a little larger than the 1300 anyway. I dropped a custom smuggler into the pilot seat and called the project finished. I’m happy with the way it turned out and it was an inexpensive way to make a model of my favorite Star Wars freighter. I just finished modding a Falcon Microfighter into a YT-2400 (Like Dash Rendar's Outrider), but the YT-2000 is still my favorite too!